Come have a BLAST and take out a jet ski through the Venice of America! 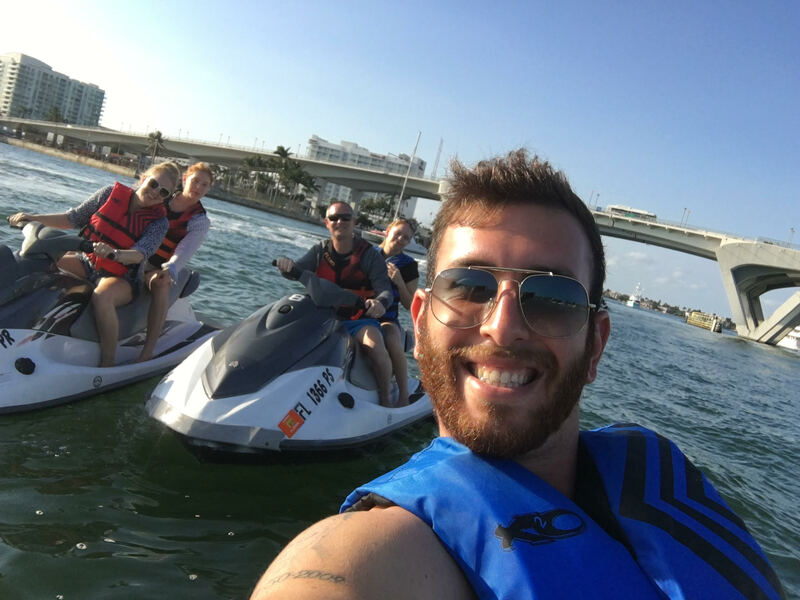 Our jet ski rentals and tours in Fort Lauderdale are the best in town and run seven days a week. Call us today to book your tour or rental! Intracoastal only, some fast / slow areas. Includes a FREE waterproof phone case! Plus 6% Sales Tax & $10 Gas. Plus 6% Sales Tax & $20 Gas. Plus 6% Sales Tax & $40 Gas. ALL DRIVERS must be at least 16 and provide photo identification. All drivers born after 1/1/1988 must take boaters test at our office. Cancellations must be made 24 hours in advance or $100 penalty is issued (can be applied to future rental). A $250 refundable security deposit is collected per jet ski in case of any crashes/damages. You are responsible to pay for all jet skis reserved. Maximum weight per jet ski is 400 lbs. and fits up to 2 people. Each group must bring at least one working phone with 80% battery or more in case of emergency. If you are looking for the adventure of your life you have come to the right place. Our jet ski rentals and tours are available in Fort Lauderdale and the surrounding Florida communities seven days a week. Call us today to book your tour or rental!